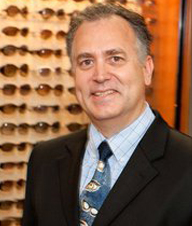 Dr. Taylor Bladh has been a practicing optometrist for over thirty years. He began working in the eighties and has continually updated his license to the fullest extent of the optometric practice. In fact, Dr. Bladh is one of only five percent of optometrists who are licensed to treat Glaucoma in the state of California. This means that Dr. Bladh runs a truly one stop optometric office. While we continue to have a great traditional office with excellent staff, a wide variety of fashionable eyewear, an in office edger to make glasses while you wait, a large inventory of contact lenses, a great sunglass selection, and expertise in orthokeratology, we can also help your family with many medical eye problems that you may encounter. Glaucoma, eye infections, dry eye, diabetic eye exams, LASIK co-management, cataract monitoring and surgery follow up can all be handled by Doctor Bladh. 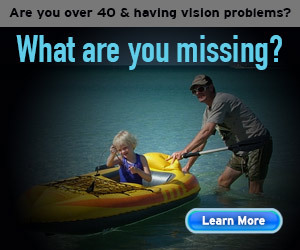 He has served on numerous boards including Vistakon’s contact lens advisory board, and product development, was the original director over optometric projects for Xela AID a joint humanitarian aid nonprofit organization to the poor in Guatemala and traveled in the country to provide services. Dr. Bladh was part of the Nike Sensory Sports Training pilot and continues to develop his state of the art Sports Training Lab to this day. He is part of a research project teamed with UCR to study ADHD and continues to develop new training and therapies for this growing population. His office is a clerkship site for Western University of Heath Sciences College of Optometry where current optometry doctorate candidates receive hands-on training in a real-world clinical setting. Eye care at its best.